Beds, beds, oh beds. You spend a lot of time on them, don't you? I know I do. I almost do all of my sitting down activities on my bed (not ideal, but hey, why not?... I want to change that soon though). Recently I have been noticing how uncomfortable I feel on my bed because it is not cozy, inviting, cushiony, plump... the list goes on and on. I must do something about it, I thought because my muscles are experiencing the pain, constantly. Turns out to make a bed feel, look and be comfortable does not really take much. A lot of the things I discovered are truly genius and the fact that I just recently found out about a couple of these things is well... uhh... shocking. Clearly, that's the base of any bed so make your mattress one you love and feel comfortable on when it is bare. There are so many different kinds out there for all tastes and preferences so you are sure to find a mattress ideal for you. Say what? Yes chica, chico and everybody reading this. Not only will this provide protection to your mattress, but there are so many out there with extra cushioning, support, plushness and plumpness to them which is exactly what we need for that dreamy, 5 star hotel bed at home. Get yours HERE. You've heard the saying "less is more" but that does not apply to the thread count on your bed sheets. When buying sheet sets for your bed, make it imperative that the thread count is higher than 300 (the higher the better) and that the material is 100% cotton (or at least with a higher percentage of cotton). Like this you are sure to feel the pure softness that cotton has to offer, plus the higher the TC is the better quality the sheets are, believe me, people. They feel incredibly soft, silky and almost indestructible. It's an experience of luxury at its finest. Check out a 650 Thread Count Sheets HERE. This is not a mandatory addition to your bed but it will definitely make it feel plush and look extra fabulous. My tip is that during warmer months, simply use the duvet cover (although there are very lightweight inserts out there ideal for all year long use) on your bed and during colder months feel free to add the duvet insert for extra warmth. The duvet layer on a bed is what ultimately makes the entire look 5 star hotel worthy. With so many options available it is impossible to not find a set you'll love. The set you see below can be found HERE. With all the linen you've already put on your bed a throw blanket may not be necessary but it sure does add a little something, something to the overall look of the bed design. Lay it on the foot of the bed, fold in three parts or simply leave it out. Start by covering your mattress with the mattress cover if you decided to add one. Add your fitted sheet first, making sure to pull it taught on every corner and tuck the edges underneath the mattress. Your flat sheet goes next. Place it upside down if it has a decorative edging or detail so that when you fold it over it shows. Also, this sheet should align with the top edge of your mattress. Note that the sheet should be evenly draping on either side of the bed. Next add your duvet and also align the top edge of this to the top of the mattress. You may now fold both the flat sheet and the duvet about a third of the way down for that tailored look you see everywhere. The bedding pictured below can be found HERE. Lets work on those pillows shall we? Insert your pillows inside the pillow covers and place the two largest ones towards the back and work your way forward from biggest to largest, your smallest one being the accent pillow. 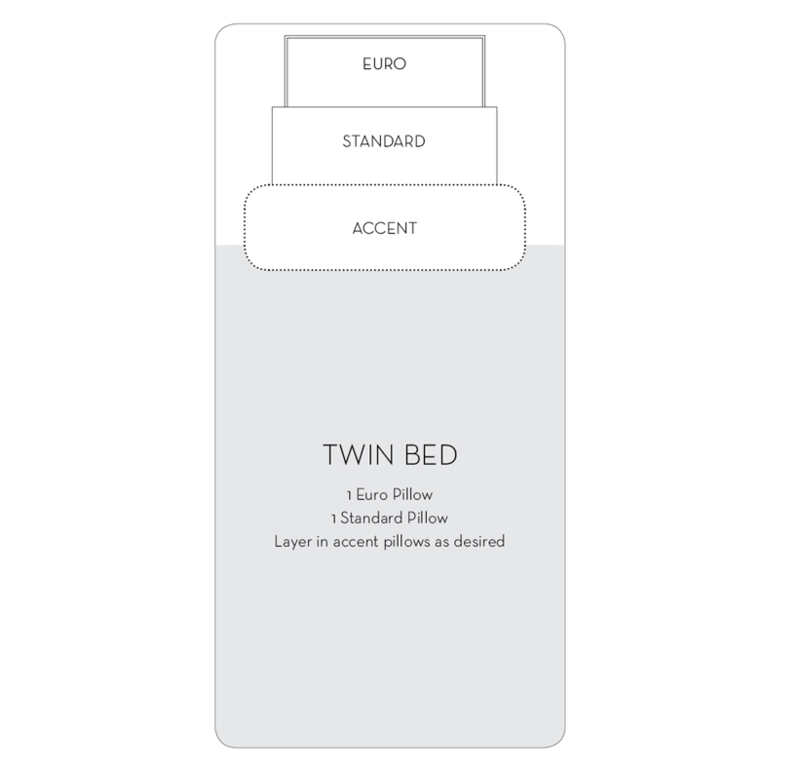 Or you can place the two standard pillows (the ones you will use to sleep on at the back, then the euro shams in front, and finally standard shams coming in first. Or, you can also place your pillows like this... (go crazy, place them however you like)... The pink bedding pictured below can be found HERE. Et voila, you're done. Your bed should now look fabulous, fantastic, beautiful but most importantly it should feel comfortable too. 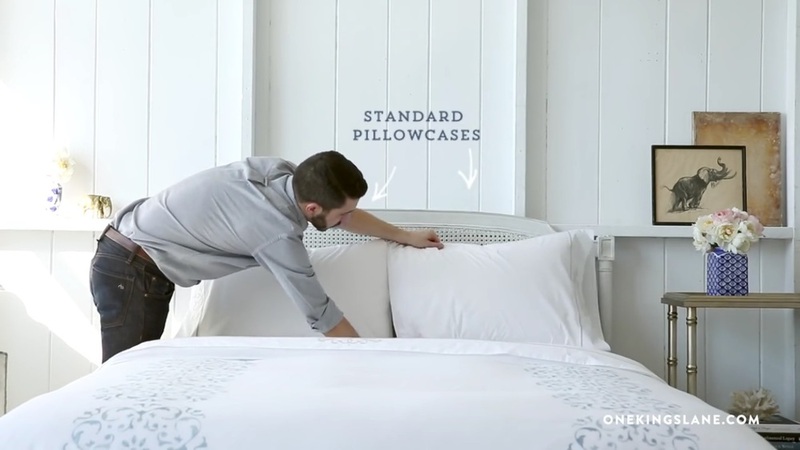 I hope these tips enlightened your bed making skills, people. If you have any other pointers out there please do share them with the rest of us.